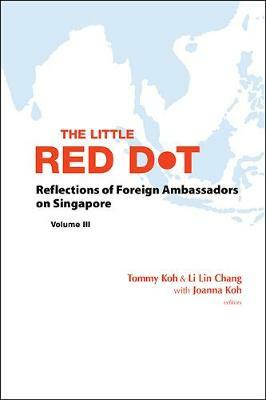 The first two volumes of The Little Red Dot series covered a wide range of views about Singapore's diplomacy by Singaporean diplomats. This new addition to the series offers a complementary perspective of Singapore and its bilateral relations, through the eyes of past heads of missions from foreign countries who have served as ambassadors to Singapore. The reader will be able to glean insights from the foreign diplomats who took an active role in getting to know Singapore, and at the same time, also worked hard to promote their respective countries' interests. As seen from their perspectives, the reader can learn more about what was unique about Singapore, what they learnt and what made their postings to Singapore memorable. These candid reflections will allow Singaporean readers to understand how different elements of our country are often seen as a whole, and how that in turn contributes to the impressions that our foreign friends have of Singapore. Often cited by the contributors are the success of Singapore's economic development, our cohesive multi-cultural and multi-religious society, our good governance, our education system and opportunities for the young. These aspects that are highlighted, among others, are what makes Singapore unique and they are also important to Singapore's future. There were, of course, some critical comments on some aspects of our culture and political arrangements. We should evaluate them with an open mind, always willing to learn from our friends.